After my recent article discussing how to get off the beaten path on the Norwegian fjords, a lot of you asked for more ideas of Geirangerfjord hotel locations. I’d say Geirangerfjord is the most beautiful fjord in Norway, so it’s definitely worth staying there for a few nights during your Norway trip! Unfortunately, most people seem to end up staying at a hotel in Geiranger, which is the most overpriced and overcrowded place on Geirangerfjord. But there are so many gems along Geirangerfjord that are tucked away from the crowds and just so, so beautiful. 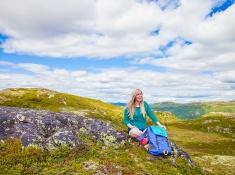 Here are my favorite places to stay on Geirangerfjord – on any budget! I’ve written about this hotel before and of course I have to mention it here, because it’s probably my favorite hotel on Geirangerfjord. This manor house turned hotel from 1891 is probably one of the most magnificent places to stay in Norway. Like, staying here feels a bit like staying on the set of an old period film! In fact, many royals and famous composers and writers have stayed here, including Kaiser Wilhelm, Princess Victoria, Sir Arthur Conan Doyle, Edvard Grieg, and Henrik Ibsen. Airbnb also has a lot of great options near Geirangerfjord, like this rustic villa with mountain views, this apartment within walking distance of the fjord, or this beautiful place in Bjorke. And if this is your first time using Airbnb you can get a discount by [signing up here]. Hello – first thank you so much for all of your amazing articles – They have been incredibly helpful! 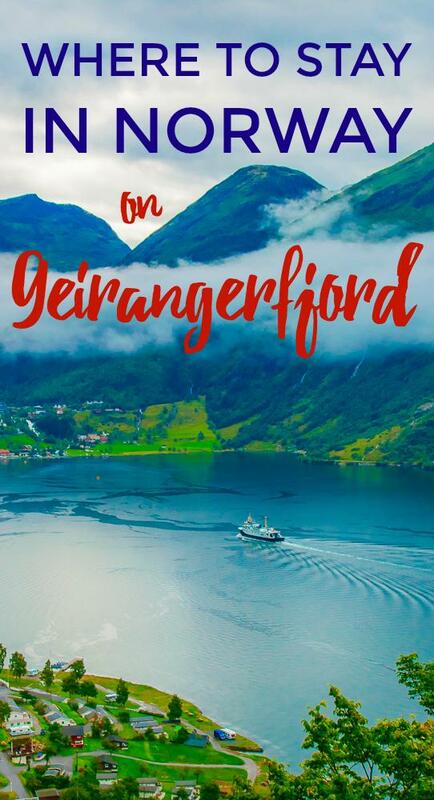 I am curious do you feel like there is a dramatic difference between Geirangerfjord and Songnefjord ? Or are they somewhat similar ? They are somewhat similar. 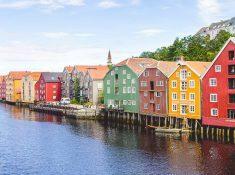 Personally I’m all about beautiful nature, so I would choose to go to Geirangerfjord and Alesund, but if you’re more of a city person then you will love Bergen. Hi! 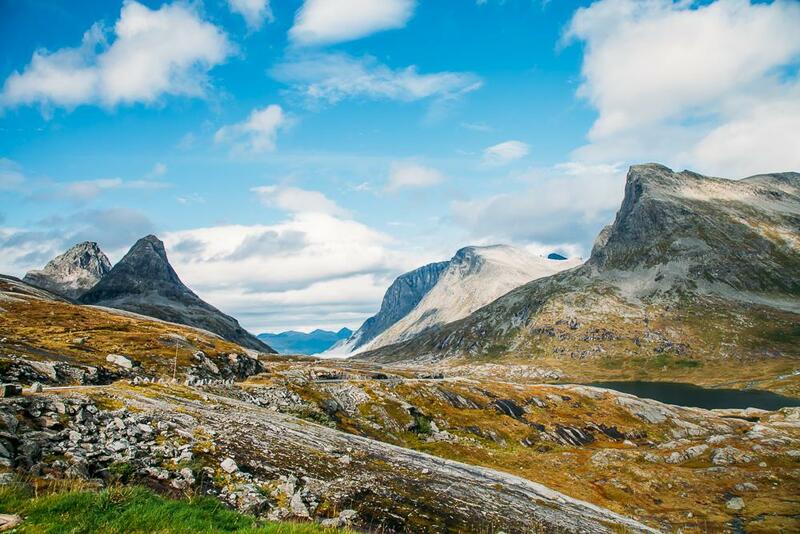 alot of these places are a few hours away from Geirangerfjord. Is that b/c I’m looking at directions in Feb and some of the roads close in the winter? Any idea? Do you mean Geiranger, the town? I actually recommend staying somewhere quieter along the fjord (which is huge!) if you can, because Geiranger itself is super touristy and quite ugly! 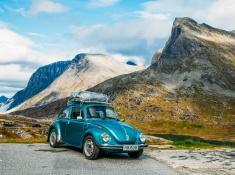 I’m looking for places between Bergen and Trondheim from Sept 23-28th. Is it possible that some of the cottages and smaller inns will be closed for the season? I’m having a hard time finding places. Yes, a lot of them do close down in the autumn, unfortunately. You could also try Airbnb if you’re having difficulty finding anything. Many good tips! 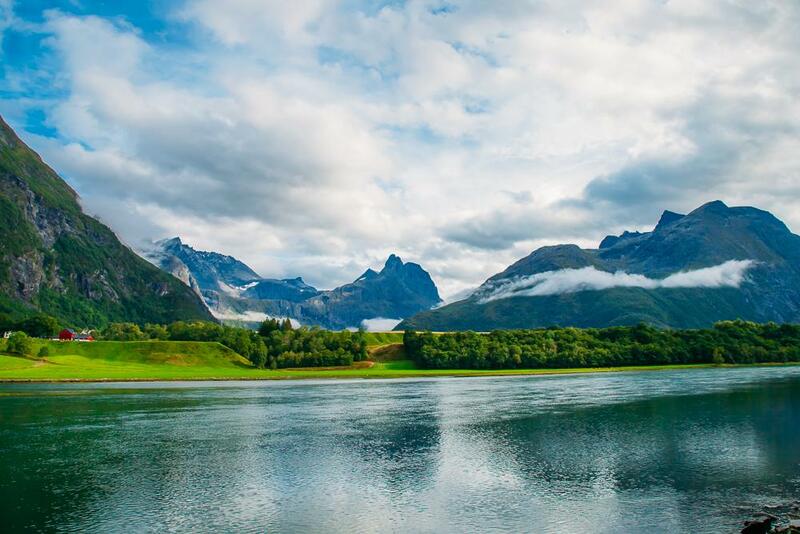 Personally, I just stayed in my tent at the camping in Geiranger when I visited last summer. Pretty cheap, and right in the center of it all. Unfortunately it was raining like crazy my first day and night there, and my tent is like the size of a cucumber, so it probably wasn’t the best option for that kind of weather. Haha yup, that’s what Dan and I did last summer! It was really nice on the few days of good weather, but when it was raining I definitely missed the times I had gone before and stayed in nice inns, haha.